Let’s face it — who among us has only a single project? Multiple projects are the norm, not the exception, and there are very good reasons why this is so. A lot of projects simply aren’t big enough to justify the investment of a full-time project manager: having only one is impractical. 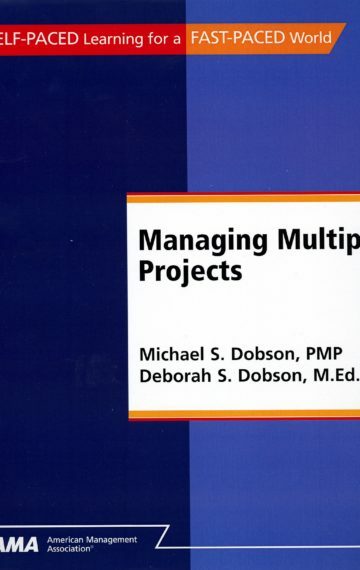 Depending on the availability of resources, a multiple project environment can accomplish substantial work while lowering the overhead burden of project management by consolidating processes. In this book, you will learn how to recognize the characteristics and to manage effectively in each of these situations, how to plan and organize your work, how to influence other people who may not report to you in an official supervisory capacity, and how to get results. This is an ebook version of the AMA Self-Study course. If you want to take the course for credit you need to either purchase a hard copy of the course through amaselfstudy.org or purchase an online version of the course through Flexstudy.